Hey La Grange Illinois — Let’s Alleviate Stress in the New Year! 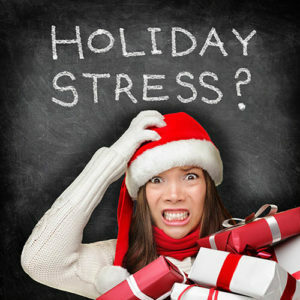 Home Holidays Hey La Grange Illinois — Let’s Alleviate Stress in the New Year! New Year’s Resolution or not, we could all use a little help with destressing. Even if you’re not currently considering getting into the real estate market, you could stand to still get to know Nancy Miller of Coldwell Banker Residential Brokerage in La Grange, IL. Nancy’s straight forward approach is a breath of fresh air in a world full of advertising and sales pitches. It’s this same approach that leads to her simple mantras for stress reduction. If one of these makes sense to you, jot it down in a place you’ll see throughout the holidays and beyond. If it really speaks to you, consider applying it as a new resolution for the New Year. Keep Perspective—Even as the New Year approaches. Recognize your stressors: troubles and hiccups are temporary. Don’t blame yourself needlessly. Control what you can, and do your best to accept what you can’t. Try to list the things that cause you stress, and expect them to arise. Expectation allows you to check off the list of stressors, knowing they’re behind you instead of getting caught off guard—again. What do you want to do there? You probably already know Why. Then figure out the How. Avoid breakdown by breaking “it” down: many hands make light work. When faced with a large task, break it down into smaller tasks. There’s probably some pieces that can be completed by adolescents or by your couch potatoes while you head to downtown La Grange to pick up those necessary odds and ends. Answer: “one bite at a time”. But it sure is a lot easier when you have help–don’t forget to ask! Knowing your limits physically, emotionally, mentally and spiritually will help you to set boundaries with other people—and yourself. It’s easy to get caught up in the hustle and bustle of the holidays only to find yourself rundown in the aftermath. Much like buying or selling a home, it’s best to take brief moments through the busyness to make sure you’re enjoying the process. Listen to your body for indicators of a needed break, and then find a point to pause—consider preplanning these times for yourself so you know you’re sticking to your plan. 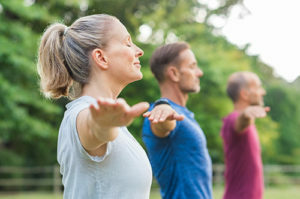 Exercise CAN be fun: leisure activities and hobbies are an important part of any life, but taking time to partake in the novelty of the holidays with loved ones can be especially meaningful. This can include ice-skating, sledding, cross-country skiing, or simply taking a walk around your neighborhood to take in the sights of your neighbors’ decorations. Enjoyment of life prolongs life and reduces stress. Just 20 minutes a day of walking will add years to your life and condition your body for maximum enjoyment of life and reduction of stress. “Rest” does NOT equal “lazy”: taking time to rest and recover after expending your energy does not mean you are being lazy—quite the opposite. Taking time to sleep, meditate, pray, or otherwise recharge your mind and body, can be one of the most responsible things you do for yourself and others. If you are unable to operate at your usual capacity, you will either wear yourself out, or be unable to give to-dos and loved ones your full attention. Know your sleep requirements. Make sure that you get as much as you need nightly. Avoid sugary snacks, smoking, alcohol, and caffeine 2-3 hours before bed. Retiring and rising at the same hour every day (not sleeping in on weekends) reduces sleep disturbances which can lead to stress. Make time for relaxation. This can mean doing absolutely nothing, or something you can do safely while intentionally letting your mind un-focus. Relax using meditation, prayer, deep breathing, or whatever you know settles you down. Most experts recommend a ten-minute rest every hour. Taking time to be alone for a little while each day can help with stress reduction simply by giving you time to organize your thoughts uninterrupted. 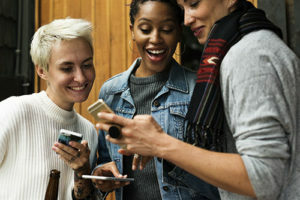 Socializing can be small: we often think of socializing as a night on the town at one of the many restaurants in downtown La Grange, events at Brookfield Zoo, or shopping in Hinsdale. Set yourself a resolution to consider being social in smaller settings—maybe even solo. Talk to a friend or family member who you feel energized being around (but not one who stresses you out!) Small groups can work in this way as well. Time around the holidays is always a good reason to keep things more intimate and still brief. Physical contact with loved ones can even help reduce stress. Get or give a hug, hold hands with your spouse, cuddle on the couch, even stroking a pet helps. The comfort of your preferred method can settle the nerves in an instant. When applying any of these mantras to your own resolutions, remember that these are just guiding words. See what works best for you in your own life and circumstance. Much like when Nancy Miller guides her clients through their real estate transaction, she hopes that you will find nuggets of calm and stress reduction in your life and through the New Year. When it comes time to make a real estate move, whether buying or selling your home, reach out to Nancy Miller at Coldwell Banker Residential Brokerage in La Grange, IL for guidance and real estate peace of mind. Happy New Year!